Wondering what is the right career for you? What job you should aim for? 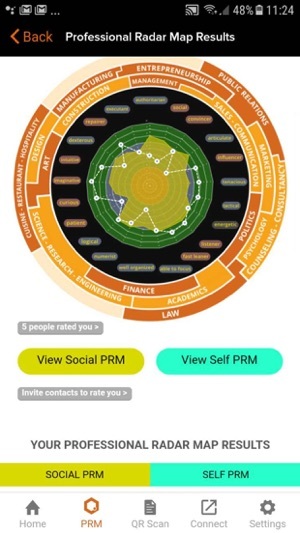 With this app, by rating yourself on 21 key professional attributes, you will be able to build your Professional Radar Map (PRM). 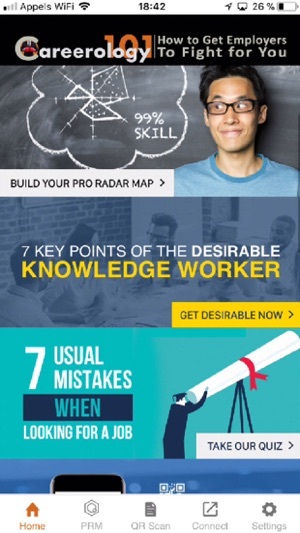 Share your results with your friends or invite them to assess your Professional Radar Map as well. 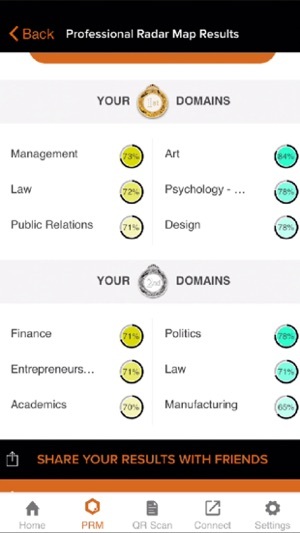 Their feedback shows you your Social PRM and you can compare it Vs your self-assessed PRM. We have built this application to provide jobseekers, fresh graduates, and even experienced knowledge workers with insider information and tips on how to best launch (or re-launch) their careers. You can take quizzes, watch exclusive videos and learn about efficient best practices regarding job hunting and career launch techniques. All explanations are given to you from the employers' side and you can thus learn how employers really select the best candidates. While you can share your results with your friends, you can also interact with the Careerology101 community to get feedback and advice. With this application, you will be also able to scan QR codes in our book “Careerology101: How To Get Employers to Fight for You”. [coming soon]. 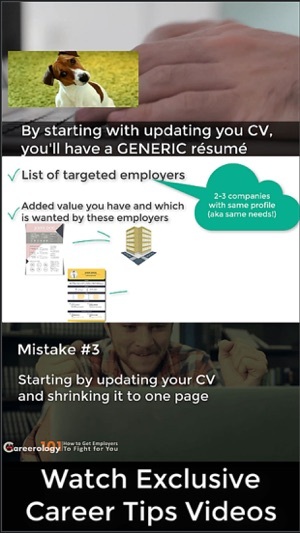 We designed this app to give you an immediate and unfair advantage over other jobseekers going about their job search the traditional way. We hereby share a lot of information and tools that we usually only use with our direct clients in dedicated face-to-face sessions. 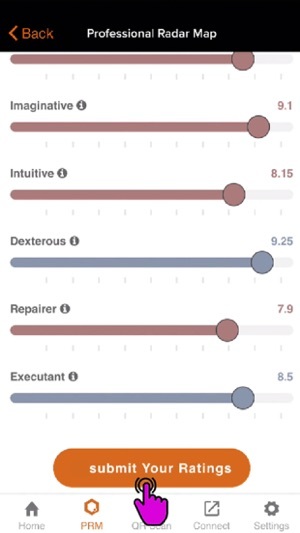 Quite a few performance improvements. Also, you can now scan the Careerology101 book's QR code with the app's QR Code reader. You can now choose to open a scanned URL with your default browser. The fit was perfect and the color was a bit brighter than the photo. Overall a great purchase!